Deaths from an approved drug become a top story for the nightly news and can lead to Congressional inquiries. Avoiding such negative publicity is the overriding goal of the Food and Drug Administration (FDA). The resulting extreme tunnel focus on safety causes delayed access to innovative drugs, which in turn causes millions of people to suffer and many to die needlessly. When drug development, testing, and market access to drugs are viewed as a system, it is clear the appropriate system goal should be better drugs, sooner, at lower cost. However, “sooner, at lower cost” is ignored by FDA while it demands ever more testing. Today, a pharmaceutical company spends ten years in clinical testing for a new drug in hope of securing FDA approval. The total cost of an approved drug is about a billion dollars. The nightly news misses the fact that FDA itself is the bottleneck in the system and fails to report that the result is an enormous invisible graveyard of those who were, are, and will be denied access to new drugs. FDA, with its habitual arrogance and seeming invincibility, is accustomed to ignoring the voices of patients, and it ignored, for many years, the demands of these men. A system that involves people is ineffective when incentives are misaligned with goals. Consider, for example, FDA’s “compassionate use” program. This is a program for people who have a life-threatening illness and for whom approved drugs are of little use. The more promising a new developmental drug is and the more serious an illness is, the more motivated patients are to gain access via compassionate use and avoid clinical trials. But there is little incentive for FDA to advertise or expand this program, since it competes with FDA’s primary motive, which is to encourage patients to enroll in clinical trials. What FDA does want is for the public to accept without question that FDA’s role is to provide “safe and effective drugs.” But no drug is 100 percent safe. Even aspirin can lead, especially in elderly people, to hospitalization and death due to gastrointestinal bleeding and perforation. The simplistic slogan of safe and effective drugs diverts attention away from the basic tradeoff issue facing FDA: More extensive and hugely expensive testing may reduce the probability of unanticipated adverse side effects from an approved drug, but at the same time also greatly increases drug costs to consumers and, most importantly, causes suffering and premature deaths from delayed access. That’s the unavoidable tradeoff situation that is better handled by Free To Choose Medicine. My proposal for Free to Choose Medicine is illustrated in Figure 1. On one track, a new drug continues with conventional FDA clinical trials with the goal of securing FDA approval. On a new, separate track – the Free To Choose Track, which is independent of FDA – patients advised by their doctors make informed decisions to contract with a drug developer to buy a not-yet-approved drug. The drug developer would need to elect to place the drug on the Free To Choose Track, and that drug must have passed the midpoint of its Phase II testing so there would be an early indication of risk and effectiveness. Patients who opt for the Free To Choose Track could gain quicker access to new drugs – by five years or so – compared to waiting for possible FDA approval. Instead of the current one-size-fits-all regulatory straitjacket that assumes everyone is equally risk-averse, patients could express their own unique preferences for risk, guided by their doctors’ and their own judgments about pain, the limited ability to work or perform daily chores, and the opportunity for health improvement – decisions only they can make. Patients could elect to use only approved drugs, which are very safe. No one is forced to accept less-safe drugs. For us to be able to judge if the benefit from a new drug exceeds the benefit from an approved drug and is worth the risk – i.e., for us to be informed well enough to be able to evaluate the tradeoff – we and our doctors would need relevant, up-to-date information. 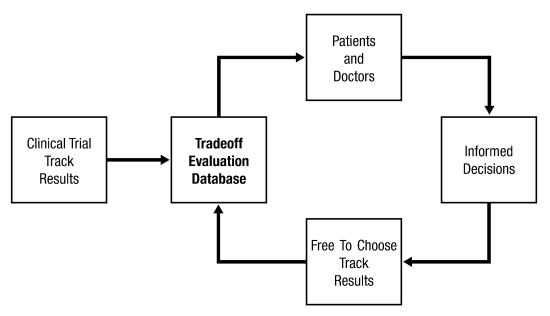 Under my proposal, that information would be accessible on the Internet through a Tradeoff Evaluation Database (TED), as shown in Figure 2. Legislation to implement Dual Tracking should specify that participation in the Free To Choose Track requires not only that doctors input treatment results to TED, but also that patients permit doctors to transmit the patient’s genetic and biomarker information to TED. Over time, this would create a treasure trove of public data that would greatly benefit pharmaceutical research. Drug developers would be unlikely to make new drugs in clinical testing available through a Free To Choose Track if they could be held liable for all side effects even if they were not negligent in developing, testing, or manufacturing. Consequently, as part of a Free To Choose Medicine Act, Congress would adopt legislation permitting patients to waive their right to sue drug developers under strict product liability as long as developers do not provide false or misleading information. Before and during Phase III testing, TED would make public a vast amount of clinical trial and observational data. Some drugs would show strikingly effective treatment results compared to FDA-approved drugs. Then, many knowledgeable doctors may object to enrolling their patients in Phase III randomized control trials on the ethical grounds of not wanting to subject their patients to the risk of receiving an inferior drug or useless placebo. In this new environment, the formerly invisible costs of suffering and death due to delayed access to new drugs would become much more visible. Heightened public awareness of the opportunity costs would make things increasingly uncomfortable for FDA. Contributing to this pressure would be the lack of insurance coverage for the new drugs that are in high demand via the Free To Choose Track when they appear to be delivering significant health improvements. Most private health insurance contracts cover only FDA-approved drugs. Lack of FDA approval could keep people with less financial means from obtaining the life-improving or life-saving drugs accessible via the Free To Choose Track. This is not a situation Americans would want, and we would pressure FDA to get more engaged with the needs of all patients. One way to help FDA respond is for the Free To Choose Medicine Act to allow the agency to grant conditional approval for a new drug based on a combination of results from clinical trials and Free To Choose Track use. To maintain conditional approval, the developer would have to agree to complete Phase III trials and obtain conventional FDA approval within a reasonable time. Off-label drug use is a window into an environment where things happen to best serve today’s patients. The widely acknowledged success of unregulated, off-label prescription use is consistent with expectations that doctors would actively use TED in the future for the benefit of their patients. We need a drugs-to-patients system that can adapt to a future with an accelerated pace of medical innovation, coupled to the widespread advancement of personalized medicine. Diagnostic testing will match patients according to their genetic makeup with drugs that are much more likely to work and to have fewer adverse side effects. In this environment, early access becomes more and more beneficial over time. Dual Tracking would accommodate early access as well as dramatically speed up the delivery of medical advancements. With the Free To Choose Track, a new drug showing strongly positive results would lead to a surge in use by patients with diverse characteristics that more accurately reflect the general patient population of drug users than do the patients enrolled in FDA’s randomized controlled trials. Consequently, upon receiving FDA approval, drugs would have a more reliable safety profile if they were used by patients on the Free To Choose Track. Consumers who choose to use only approved drugs would benefit from the voluntary decisions of those willing to accept more risk in exchange for early access. A quite plausible forecast is that prescription drug prices would drop substantially after feedback about how well patients do when they opt to make their own choices for approved versus not-yet-approved drugs. Such feedback would be expected to compel FDA to radically streamline its testing process, thereby providing a major reduction in regulatory costs for drug developers. To sum it all up, Free To Choose Medicine would provide faster access to new drugs, save countless lives, and end needless suffering. It would put us on a competitive path that both lowers prescription drug prices and advances innovation – exactly opposite of a price control path to lower drug prices that some health care reform advocates are pushing. Their option would seriously reduce long-term innovation. Passage of a Free To Choose Medicine Act would be a defining moment for America – a directional change from today’s trend of increasing litigation and regulation – a stake in the ground that control of medical decisions belongs, first and foremost, with individual patients and their doctors, and not the government. It deserves a chance. Bartley J. Madden is the author of Free To Choose Medicine. 1. Henry I. Miller, To America’s Health: A Proposal to Reform the Food and Drug Administration (Stanford, CA: Hoover Institution Press, 2000), 41-42. 2. Alexander T. Tabarrok, “Bringing the Consumer Revolution to the FDA,” Independent Institute, Commentary, April 25, 2005. 3. “Types of Randomized Controlled Trials,” Chapter 2 in Alejandro R. Jadad and Murray W. Enkin, Randomized Controlled Trials (Malden, MA: Blackwell Publishing, 2007, 2d edition), 12-28. Scott Gottlieb, “Improving Access to Life-Saving Medicines through Modernization of the Regulatory Review Process,” presentation to the Food and Drug Law Institute’s Colloquium on Access to Unapproved Drugs, February 27, 2007 (unpublished). 4. Dr. Larry Norton quoted in Robert M. Goldberg, “Breaking Up the FDA’s Medical Information Monopoly,” Regulation 18, No. 2 (1995), 40-52. A growing psychiatric phenomenon in Japan known as hikikomori could be especially troublesome in the aftermath of the country’s massive earthquake and tsunami. In the early 1990’s an extreme form of isolation emerged, where young Japanese people seclude themselves in their homes for months or even years at a time. Attempts to establish the prevalence of the phenomenon suggested over 1 million Japanese people could have hikikomori, but some researchers believe the actual number may be higher. 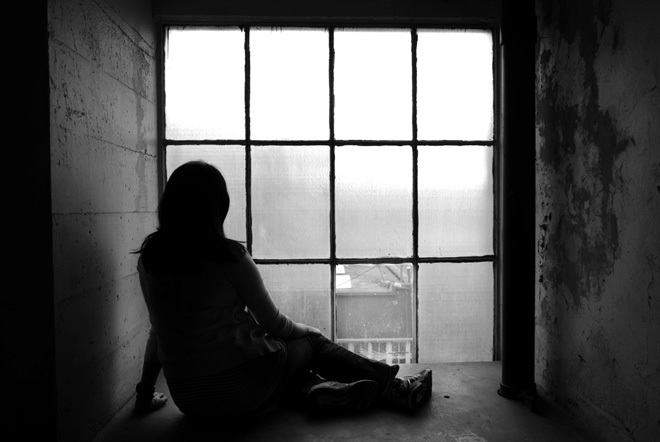 People with hikikomori often have symptoms of anxiety and depression and unusual sleep patterns. The official definition (sidebar below) includes complete home isolation, but most psychiatrists and researchers I encountered in Japan use a working definition that ranges from complete seclusion to going out every day but having no friends or jobs. Patients tend to sleep during the day, and at night they watch TV, play computer games, and read manga (comic books). They often eat alone in their bedrooms and do a great deal of internet chatting, but have very little face-to-face communication with others. In rare but highly publicized cases, some of these people have committed suicide and even murder. In my experience, people with hikikomori mostly only seek medical help when they have no other choice, such as when their house is sold, their parents pass away or they run out of money. The earthquake, tsunami and aftershocks could push thousands of people with hikikomori who had been previously living under the radar into the light, seeking help for the first time ever. This stands as a unique problem in comparison to other disasters such as those in Haiti and New Orleans. And while it’s not clear exactly what causes hikikomori, traumatic events such as bullying, failing a test or not getting a job are often reported as triggers. 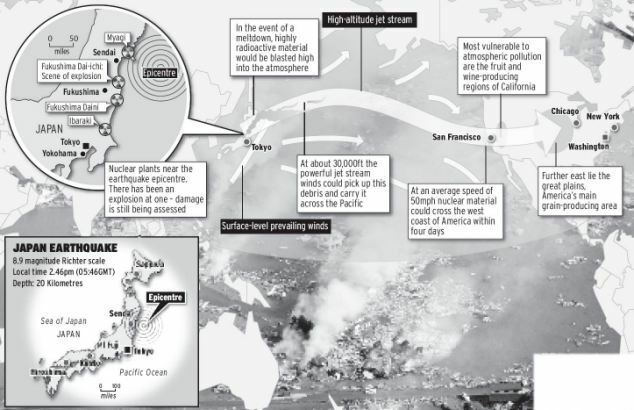 The recent crises in Japan will cause psychological trauma for a variety of reasons, including the death of loved ones, the loss of entire towns, the ongoing nature of the disaster in the form of aftershocks and radiation-related problems. In addition, the crises will further erode young people’s ability to find gainful employment. These two factors, in my opinion, will make it likely that young people in Japan who were on the brink of isolating themselves, and still have the financial means to do so, will shut themselves off from the rest of the world, creating new cases of hikikomori. It’s not clear why this extreme form of social isolation has shown up in Japan, but several factors may be at least partially responsible. There is still a strong stigma regarding mental illness in Japan, which may cause sick people to hole up rather than seek help. Also, in Japanese culture, rest is considered a reasonable treatment for most mental illnesses. Many people with ADHD and depression I saw in Japan would try staying at home and resting for a few weeks before seeing a doctor. One researcher also suggested that hikikomori could be a reaction to the Japanese cultural emphasis on speed, efficiency, and punctuality. A changing job market may also be contributing to the problem. Before the Japanese stock market collapsed in 1990, it was generally believed that a person would graduate high school or university, interview with one company, get hired and move up the corporate ladder in the same organization until the day they retired. 1. The person does not take part in society and is shut in his or her home for at least six months. 2. The person does not have any intimate relationships other than with family members. 4. Social withdrawal: not taking part in social activities, school or work. Since the crash, lifetime employment at an early age is no longer guaranteed, and young adults often interview at several companies and do not get a position immediately. Many times their parents react as they would under the old system and treat it as a major problem, causing the young adult to feel a great deal of shame. When these families are affluent and can support a reclusive child, it can lead to or exacerbate hikikomori. While more than 200 English newspaper and magazine articles have been written about hikikomori since the early 1990s, there are only about 10 reports in the scientific literature in English. However, it’s my observation by interviewing patients, psychiatrists and researchers in Japan that despite the paucity of published research, hikikomori is a widespread problem that has ballooned in the last five years. The prospect of acknowledging a new psychiatric disorder such as hikikomori is often met with skepticism in the psychiatric community, especially when reports are widely made in the media before scientific research is published. However, this was also the case with seasonal affective disorder and postpartum depression, which are now formally recognized in the Diagnostic and Statistical Manual of Mental Disorders. Regardless, hikikomori should be considered as an important factor in any effort to help improve the mental health of people in Japan, a country that even before the current situation had one of the highest suicide rates in the world. Given that the earthquake and its aftermath will likely bring pre-existing cases of hikikomori to clinical attention for the first time, and cause brand new cases as well, Japan will face an unprecedented need for psychiatric services, far more than would be expected in similar crises in other countries.